The president Masoud Barzani received today in his office a delegation from Syrian negotiating body headed by Dr.Nsr Alhriri. 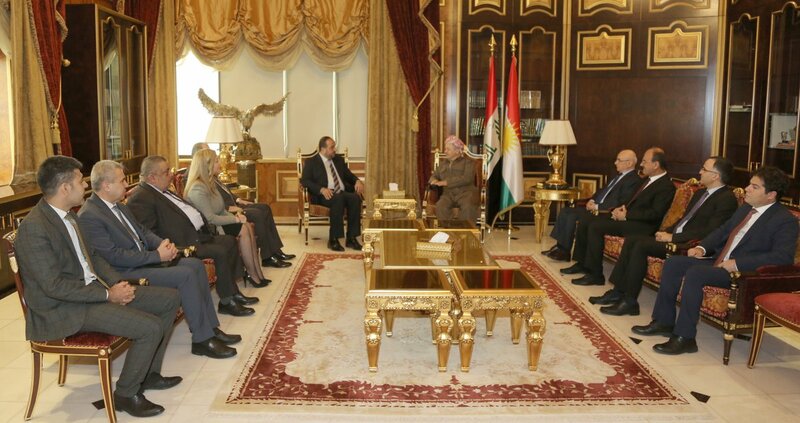 And the delegation of the commission arrived to Arbil yesterday on Friday. And it includes the chairman of the commission the doctor Nssr Alhriri and the members: Abd Aljbar Alakidi ,Qasm Alkhatib,Ruba Hbosh ,Hwas Akid and Ebrahim broo.